Phish is returning to New York and the East Coast tonight. They are starting their 2018 Fall Tour with a two night run at the Times Union Center in Albany New York. Phish’s last New York show was Curveball in August but was unfortunately canceled due to water safety concerns. It was upsetting for everybody what happened at Curveball so the excitement is very high for these upcoming shows. Once Phish stops playing and you’ve somehow gathered all of your friends, it may be time to hit an after show. Well look no further because here is what’s going to be going on the next two nights after Phish. Phunk Night : Phish After-Party- Parish Public HouseLive music by Natalie Cressman (Trey Anastasio Band), Chris Bullock (Snarky Puppy), and members from Kung Fu and Wurliday. 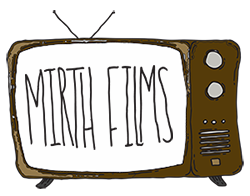 Stay tuned to Mirth Films for upcoming concert reviews.